American soldiers are staying put at the U.S.-Mexico border, the Pentagon revealed Monday. According to an Associated Press report, the military deployment will not only continue until the end of September 2019, but will be enhanced as soldiers and Marines continue to assist the Department of Homeland Security (DHS) in its efforts to reinforce the southern border, including the arrival of more migrant caravans. An unnamed official, cited by the AP report, who is aware of the particulars of the deployment, could not say how the enhanced mission will affect troop levels in the area. The source confirmed to the AP that Acting Defense Secretary Pat Shanahan has approved the ongoing partnership between DOD and DHS. 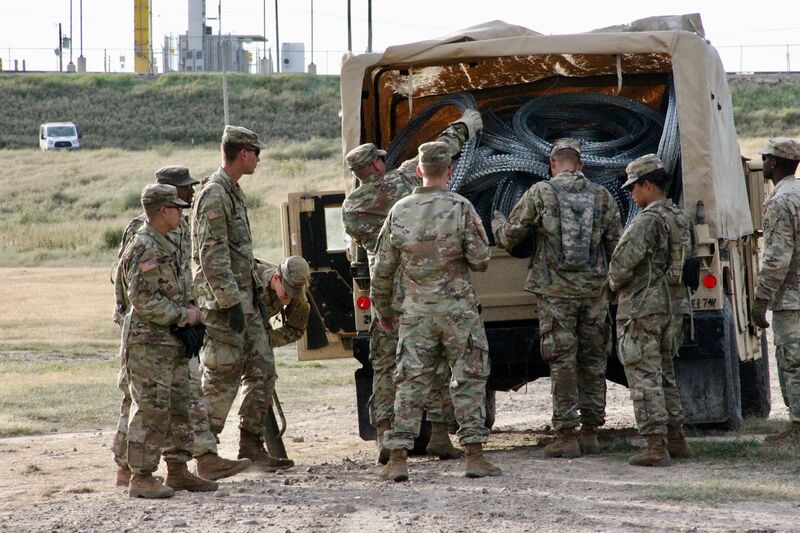 Approximately 2,350 active duty troops have been deployed to the border since Oct. 30 in an operation that was supposed to end by Dec. 15. That initial engagement was stretched to the end of January before this latest decision to keep the military personnel on-scene until at least the end of September. Although the military is directed by law to focus on extra-territorial threats, it can be tasked to aid the civil power to provide emergency relief or security powers.